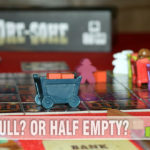 With one teenage daughter and another a year behind, we see toys and games differently than we used to. No longer are we buying stuff for little girls, but they do still have an interest in building sets, dolls and stuffed animals. Who am I to be critical though… at 40-something, even Nicole still cannot resist that stuff either because there’s some pretty cool and creative toys available these days! 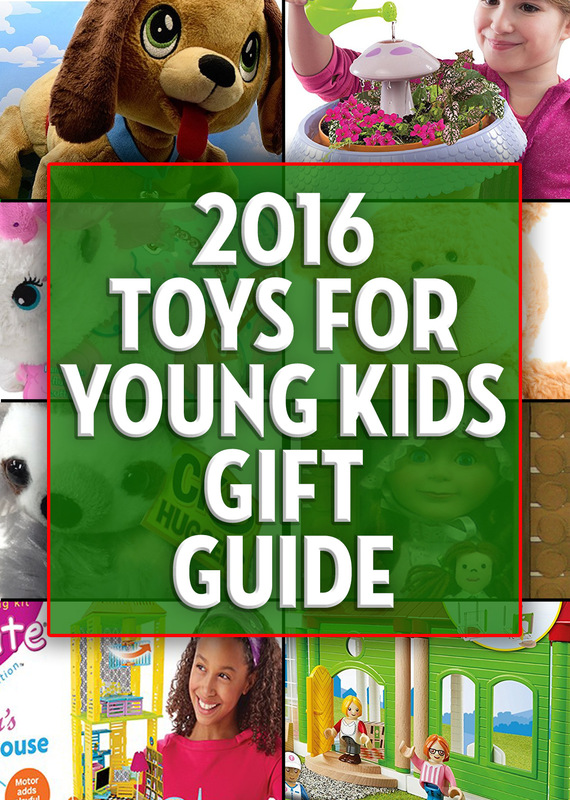 So we decided to put together a list of toys for the younger people on your gift list. Between this and an upcoming guide with games for this age group, we’re hoping you find something that fits! 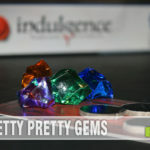 Also check out our other guides including Stocking Stuffers, Dice games, STEM gifts and Family Games to get even more gift ideas so you can check some items off your list. Stay tuned for a guide targeted at games for older kids. There’s still more to come in addition to giveaways for many of these items. If you see the logo, click on it to be directed to an in-depth review! 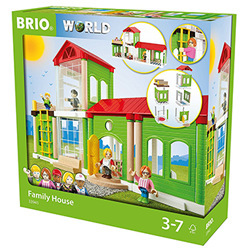 Welcome to the BRIO Family Home, a modular play house. Build it according to suggestions or customize – the modules in plastic and wood offer lots of options. 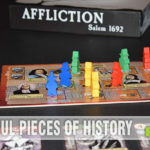 It comes with interior details and characters, creating a unique social play focus around real life situations for your child to engage in. Buddy Balls are the incredibly cute two-in-one, got to have toy made for boys and girls of every age! Made by Creative Toy Company, Buddy Balls came from a 6-year olds idea to have his favorite friend turned into one of his other toys, a ball! These cozy characters tuck into your favorite beach ball, football, soccer ball and basketball, making play-time versatile. Not only does this high-quality plush bear makes the absolute best friend, but it’s the perfect gift! And with a sports collection, there’s something for everyone! Give your child the gift of nostalgia! 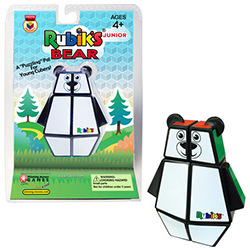 The easy-to-grip Bear is much simpler than the original Rubik’s Cube and will entertain kids with every twist and turn! Think of it as a “training” cube. These stuffed animals hug you back! Spread the arms wide open. Give the belly a squeeze, then SNAP . . . the arms instantly wrap around and give you a hug. Hugs onto your wrist, backpack, stroller and so much more. Choose from Panda, Wolf, Giraffe among others. Learn more about CK Huggers on the Wild Republic website and read about their participation in Project Night Night. Introducing the officially licensed Little House on the Prairie® Laura Ingalls 18″ Doll inspired by the treasured Laura Ingalls Wilder stories. Designed by highly skilled artists to embody the beloved character’s spirit. From expressive, tilt-close eyes to soft pigtails and rosy cheeks, Laura’s kind-hearted and energetic nature comes through the moment you catch her eye. Laura comes in an eyelet ruffle-front nightgown and cap, an adorable rag doll, a pillow, patchwork quilt and a clever keepsake box that converts into a cozy bed which tucks in a log cabin backdrop, complete with window! 6 piece set makes an instant heirloom collection. The only cuddly plush that can run, jump, wag its tail and interact with children like a real dog, TPF Toys’ Peppy Pups are brimming with personality and inviting cuddles with its fluffy tail and soft tuft of hair. Peppy Pups feature charming collar and bone tag, and branded paw pads. 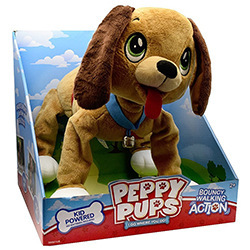 Eager to move and shake just like a real dog, Peppy Pups spring, bounce, jump, waddle and grove; turning heads as they go — no batteries needed! Ages 4+. 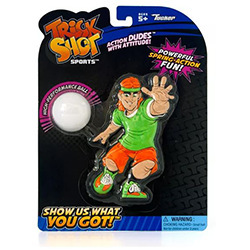 Sports figure dudes with powerful snap action performance that lets players perform table top action and freestyle play in amazing Trick Shot combinations. Trick Shot Sports® features an exciting lineup of athletic Dudes®, ready to kick, throw or hit the ball with powerful spring action! Order from Toys R Us! Scent-Sational Fun! Sweet Scented Pillow Pets deliver the smell of yummy sweet treats in a plush you can hug. Subtle scent patches in delicious flavors like cotton candy, gummi bears, cookies and more. Perfect for playtime, sleep time, or anytime, Sweet Scented Pillow Pets are surface washable and feature long-lasting subtle scents. The scents are created in the United States and are made from sustainably harvested trees or cotton. 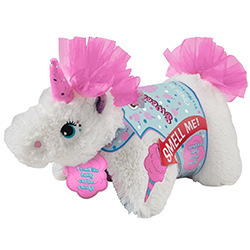 Each scent has certification from the International Fragrance Association and complies with USA & EU Toy regulations including stuffed animals. 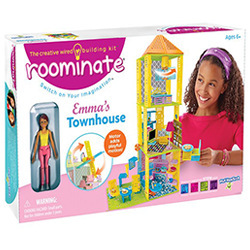 An award-winning line of complete building sets that are designed for girls in order to bridge the gender gap in STEM, the Roominate line was started with one simple mission: open up possibilities for girls by showing them that creativity and engineering are fun. With all sets, kids can build the creations shown, or use their imagination to create their dream project, allowing them to “Think it, Build it and Switch it on!” Emma’s Townhouse — Build a tall townhouse, or a wide one — either way you can design a colorfully modern home! Use the included motor to build a ceiling fan, or anything you can think of! Includes Emma doll and her pet pig Hodgkin. Ages 8+. SRP: $29.99. 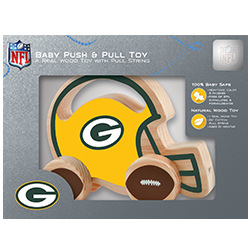 The MasterPieces’ Baby Push & Pull Toys, which come in varying shapes corresponding with each sport, such as a football helmet shape, car, baseball cap and even a Zamboni, provide gross motor skill development and hand eye coordination. The movement and motion of the MasterPieces Push & Pull products can grow with the child and when the baby begins to walk, the product can be pulled and rolled along by a cotton string. The strong and durable wooden wheels offer a fine, smooth roll to follow the child along and the 24” cotton string to pull for extended play beyond first year. See the entire line on Amazon! Wow. Scented stuffed animals, fairy gardens and building sets are just a small sampling and we can’t wait to hear what kids think when they unwrap these cool toys! Be sure to keep an eye out as some of these items will be included in our 100+ Days of Giveaways. Both of my kids have already requested scented Pillow Pets for Christmas. My daughter recently added a request for a Fairy Garden as well. Great gift guide. Toys have come a long way since I was a kid that’s for sure. This is perfect! (Especially for people that don’t know what to get for kids!) I personally want the Little House on the Prairie doll! OMG! I have not seen a lot of these toys and they are great! 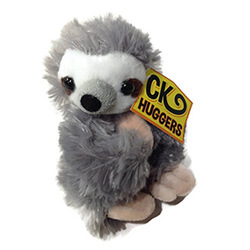 I think my son will be getting the CK Huggers for Christmas! 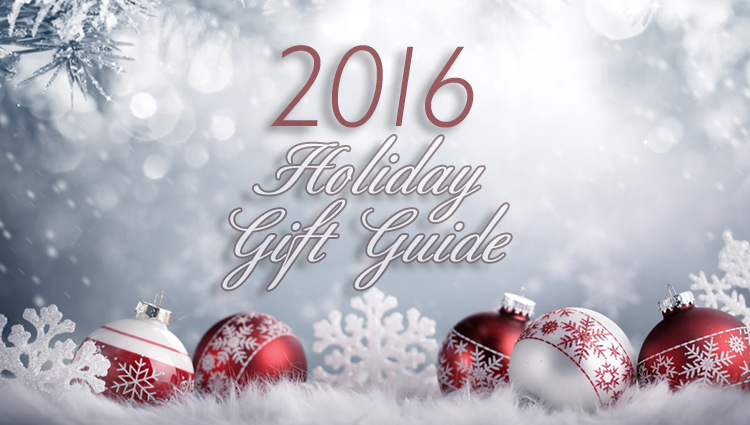 This gift guide is great! With toys constantly changing these days, it’s hard to keep up! There are so many on this list that my children would like! Seeing that Laura Ingalls doll makes me nostalgic, too! OMG Can I get CK Huggers for myself? haha so cute! These are great gift ideas for the little ones. I know my kids would have liked many of them when they were younger. These are all great ideas! I love that fairy garden. 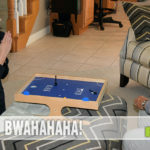 I think my youngest would have a lot of fun with it! What a fun guide! My youngest daughter would love anything on this list. Thanks for putting it all together. I love the fairy garden. Ive been wanting to do one with my daughter! I love the My Fairy Garden: Magical Cottage. I like it that the kids can grow their plants and the fairies are so cute. some fun toys on there! 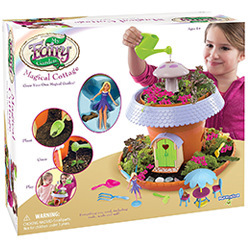 The Fairy Garden looks fun, and I’ve got several girls so they would enjoy it. I also like building, so Family House or Emma’s Townhouse would be a good option for us. I’ve got a Sweet Scented (and also a regular) Pillow Pet for my 29-year-old self, but I can tell you that the fairy cottage, dollhouses, and plush pups could’ve easily made my Christmas list when I was a kid! ^^ I still collect toys and adore figures representing dogs & other animals, as well as houses/buildings. I have a 2 year old grandson who loves dogs he would love the peppy pup. That Rubik’s Bear is awesome! Great learning and allows kids to work up to a Rubik’s cube. My daughters would love the fairy garden! And it would teach them to take care of plants which is OK in my book, thank you for this list! Aw, peppy pups are so cute! My kids both have a Pillow Pet that they absolutely love! I had never heard of Sweet Scented Pets, but if they have it in lavender, that’d be perfect to help my littles fall asleep! How neat! Love the little house on the Laura doll!! My daughter just finished reading Little House on the Prairie. Great guid for younger kids! We have a big family and it’s tough coming up with ideas. This is an informative guide for me when buying for my three great nephews. I would have loved the Laura doll from Little House on the Prairie when I was a girl! I love the Peppy Puppy! How cute! 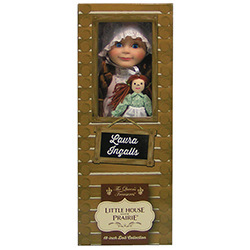 I love the Little House On The Prairie Laura doll. My girls love the Little House books. So many great toys listed here, I know our grandson would have fun playing with most of them. Buddy balls is so damn cute! Great list! The Buddy Balls look really cute. I love the CK Huggers! I like the Family House and Emma’s Townhouse the best. My girls like to build and be creative. The youngest two also enjoy their little dolls quite a bit. A couple of my granddaughters already have a Pillow Pet. I know one granddaughter has the Rainbow Unicorn. I know they weren’t scented. They love them! I saw a couple of Paw Patrol characters. They would be a huge hit with my younger grandkids! I like Little House on the Prairie Laura Doll the most of all of the great items as featured in your 2016 Gift Guide: Toys for Younger Kids. I love the Peppy Pup. My 11 month old is always grabbing the dogs tags. She would love this little doggy.